There are a lot of hazardous materials in our households than we realize. A container that looks absolutely harmless from the outside might actually be very dangerous. Painting supplies, cleaning supplies, insecticides and other materials can all be kept somewhere that’s not easily accessed like the garage or a shed. If these chemicals are necessary for household maintenance and you need to keep them in the house, storing them away in a cabinet is fine as long as it is secured with a lock. The protocols that should be followed in storing chemicals are somewhat similar to how you should store tools and appliances. You might have a loved one who has a penchant for wandering around the house in the wee hours of the night and accidentally step on something that could potentially injure them. So make sure that tools like hammer and saw are secured in the proper place to avoid such accidents. Appliances with automatic shut-off feature are also ideal for senior homes since they could help prevent accidental fires. Seniors are not as attuned to their surroundings as they used to be when they were younger. They also have the disadvantage of slower reflexes and less flexible joints. As their family, you have to ascertain the safety not only of the chemicals and tools but even in something as (seemingly) insignificant as the floors. One bump could be the difference between a broken hip or one that’s still intact. So scrub the floors, replace the carpet, and keep everything smooth. Tap the help of senior home care services in Georgia. Alarm clocks can be annoying in the mornings when all you plan to do is sleep. However, for seniors having a human alarm clock that could remind them of important precautions could help ease their retirement years. Patience and consistency in these reminders are essential for them. Even a simple phone call can remind them to turn off the gas stove would be enough to let them know that you care for them. Better yet, assign help from an in home elderly care in Georgia. Regular safety checks of the entire house can help you troubleshoot problems before they blow up in your face. Prevention is indeed better than the cure. So if you see a leaky plumbing or a toilet that doesn’t flush, it would help in the long-run to address the issue right away. 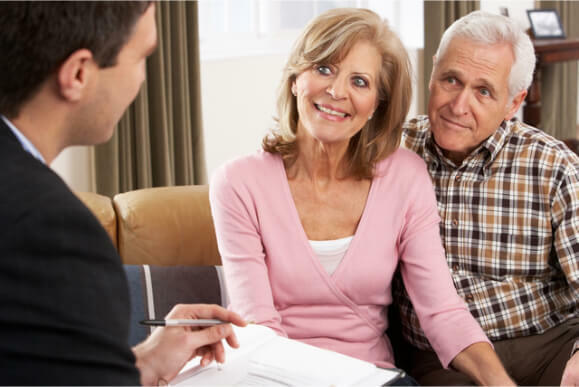 At Abundant Life Assisted Services, we provide dedicated service to ensure the safety of your loved one at home. To know more about our services, call 678-319-0307. This entry was posted in Senior Care and tagged Check Up, checklist, Elderly Care, Health. Bookmark the permalink.